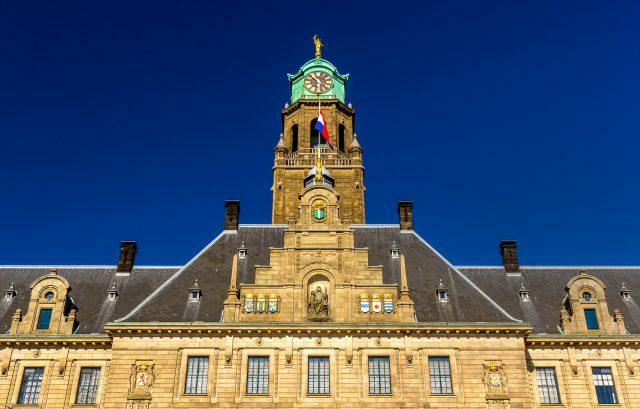 Spend a delightful day visiting the accomplished old port, striking market hall and architecturally innovative city of Rotterdam, the the only city in Holland with a skyline. 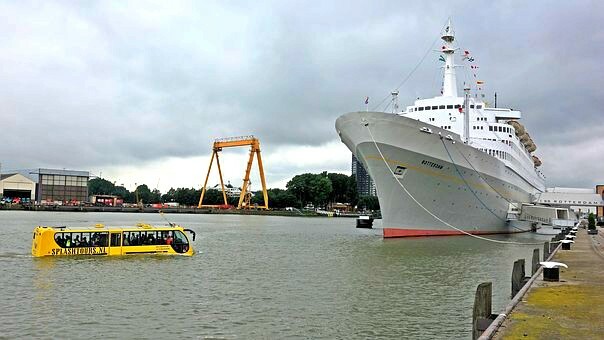 The port city of Rotterdam is located little over an hours travel time from Amsterdam. 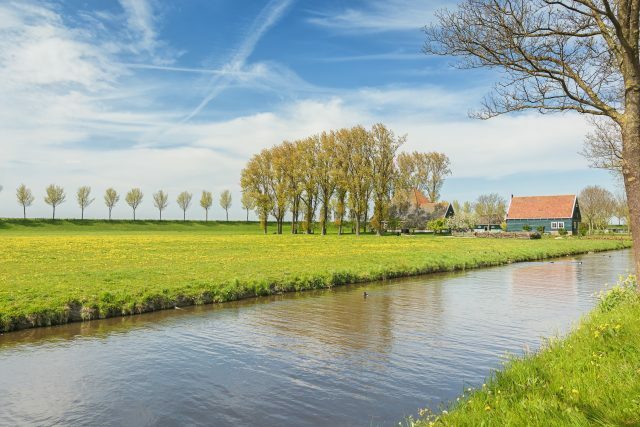 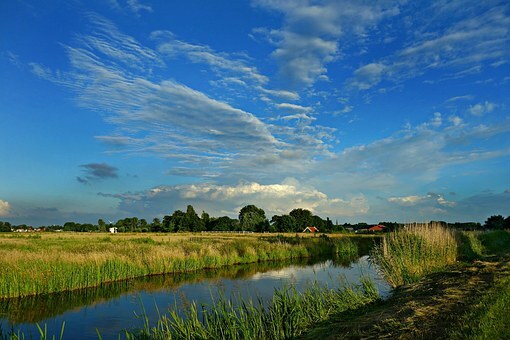 We will enjoy the wonderful lush Dutch countryside on our way to South Holland to the city with a long history going back to 1270, when a dam was constructed in the Rotte river. 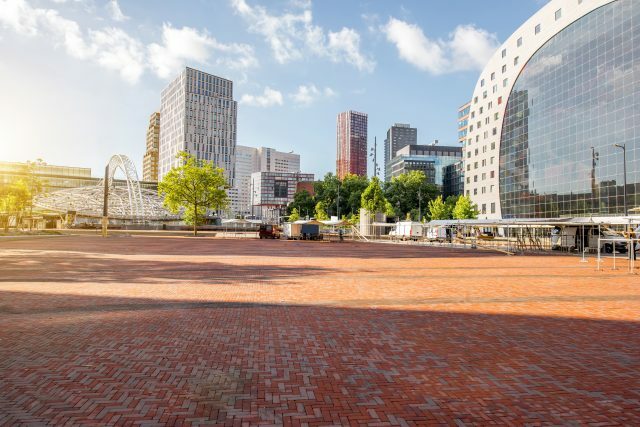 Nowadays home to Europe’s largest port, our Rotterdam sightseeing tour includes both architectural and gastronomical sights not missing the scenic waterfront views. 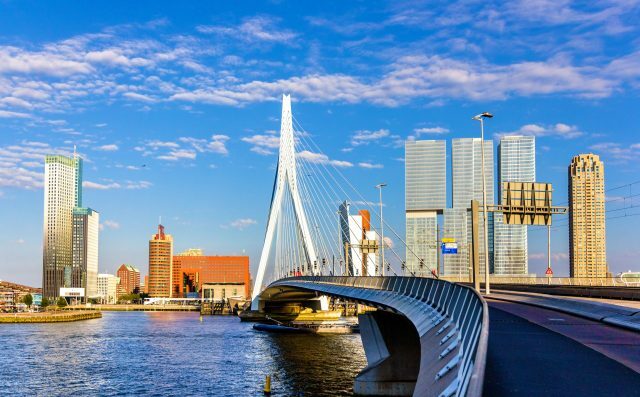 The city of Rotterdam is known for the Erasmus University, riverside setting, lively cultural life and its maritime heritage. 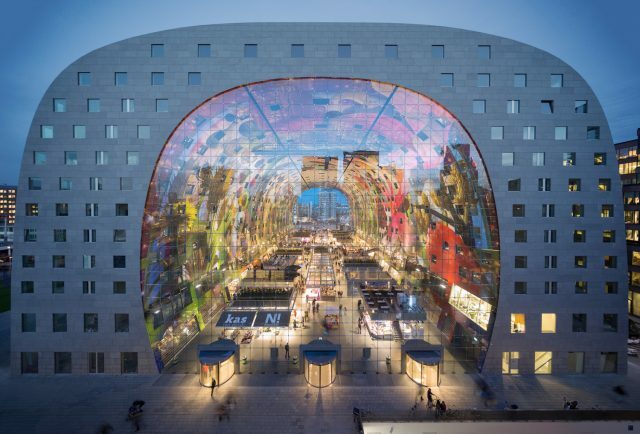 We will also admire and tour the Market Hall located under an unusual arch shaped residential and office building. 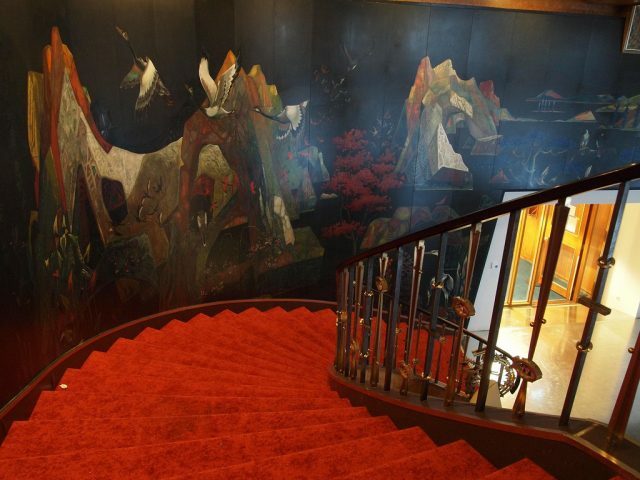 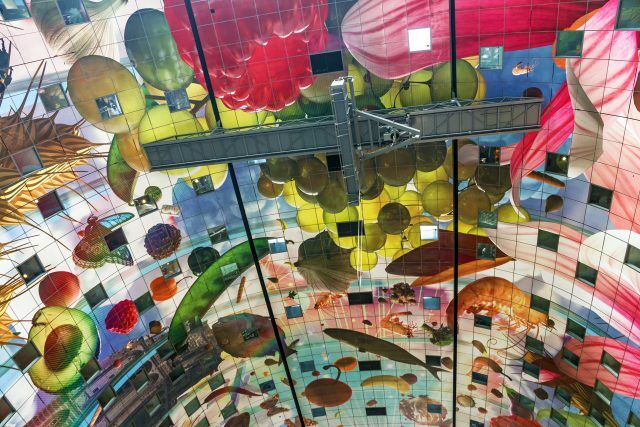 The stunning natural stone structure also boasts a lavishly adorned interior of 11.000 square meters of artwork by Arno Coenen, named Horn of Plenty with strongly enlarged fruits, vegetables, seeds, fish, flowers and insects. 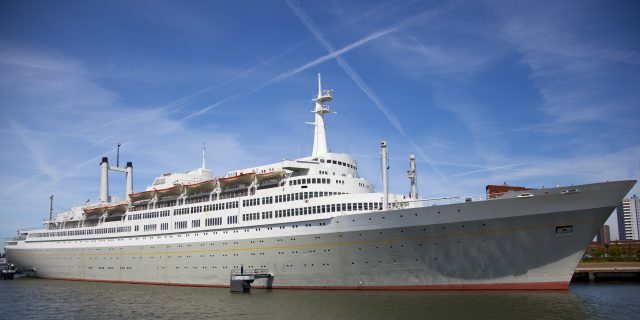 After some free time enjoyed at the market, we will tour the legendary former flagship of the Holland America Line, the SS Rotterdam. 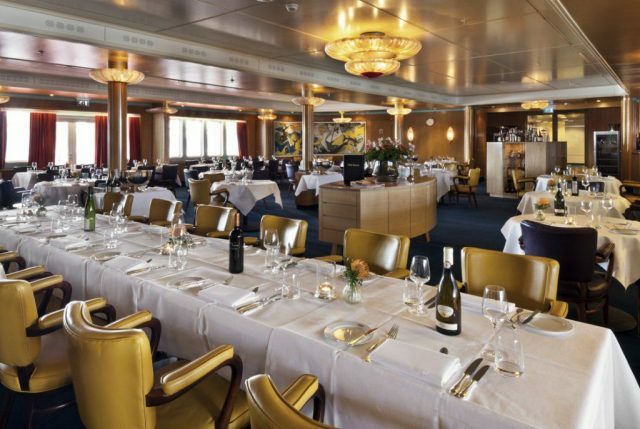 The 228 meter long vessel is rich in history and renowned for its cultural and historic value, often also referred to as La Grande Dame. 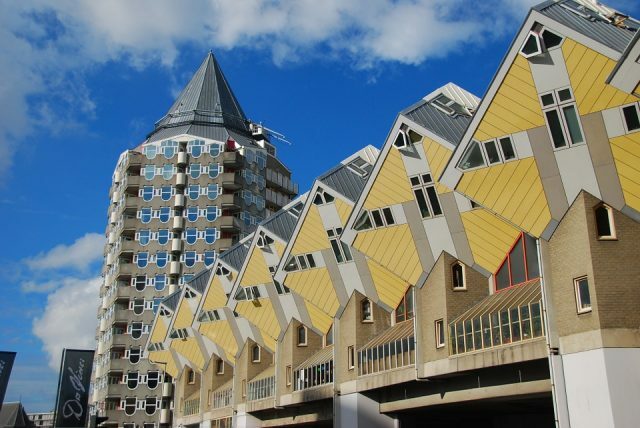 Our day of discovering Rotterdam comes to an end with a return transfer to Amsterdam city.